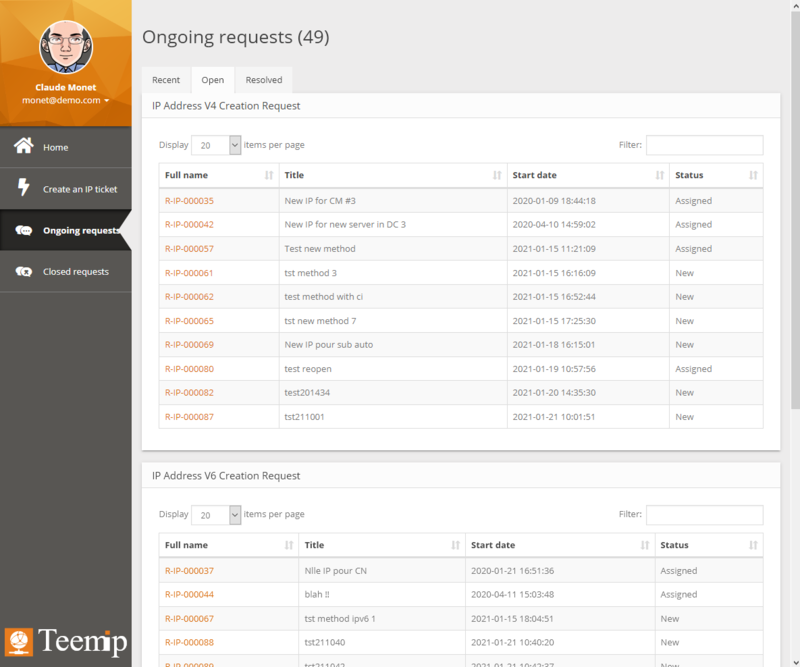 TeemIp portal is used by end users to easily create and track IP related user requests. It provides an easy to use web interface that simplifies the management of tickets. 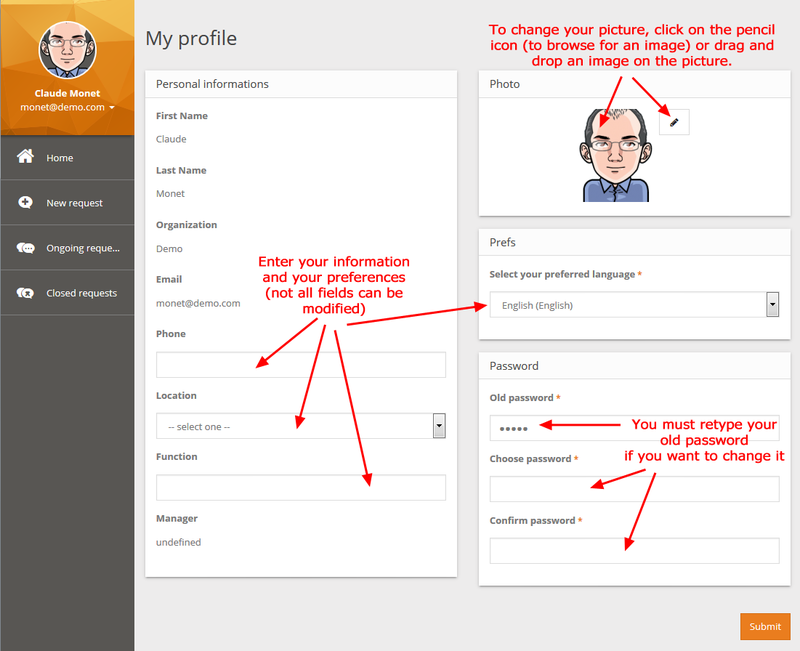 TeemIp 2.3 is relying on the new enhanced customer portal introduced with iTop 2.3.0. You may refer to iTop Enhanced Customer Portal documentation for further details on it. 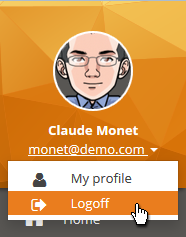 The portal is installed together with the Helpdesk / User request module. It is, therefore, available only if the module has been selected at installation time. Should that not be the case, you can always re-run the installation and select the Helpdesk module in the Request management options. Please, refer to the Installation wizard chapter of the Administrator's Guide for that purpose. the power portal users who see all the tickets attached to their organization. Once all information is filled, pressing the “Submit” button will create the request and will make it visible in TeemIp's Helpdesk menu where agents will be able to process it. Note that, if needed, an attachment can be loaded together with the ticket. End users can track the progress of their requests through the “Ongoing requests” menu where all new, assigned and resolved tickets are listed. 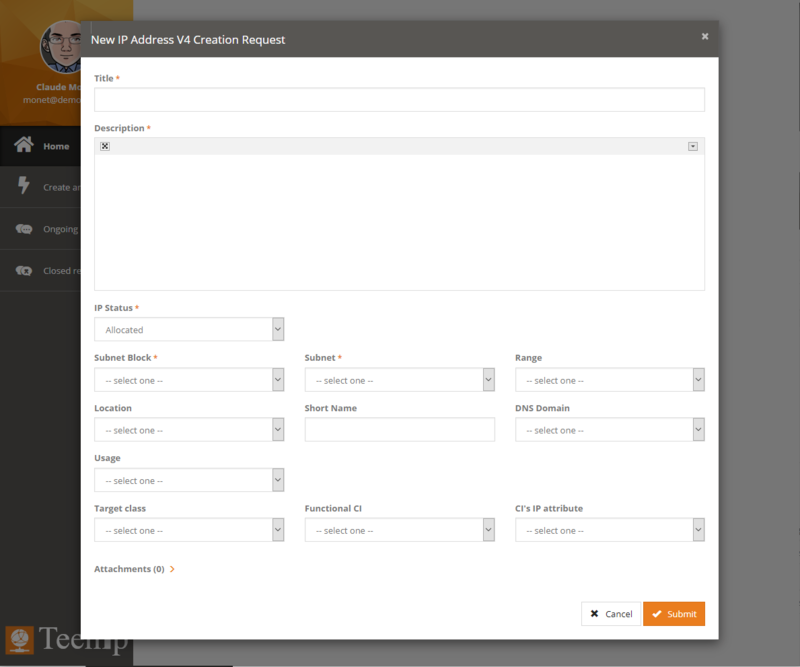 Details of a given request can be seen by clicking on the full name of that request and communication with the helpdesk agent can be done through the Public log shown at the bottom of the request. Note that, here as well, end-users can load attachments with requests. Once a ticket is resolved, it is displayed in the “Resolved” tab of the “Ongoing requests” menu. End-user can then display the details of a resolved request and, from there, reopen it if the request has not been properly processed or close it. If the end user reopens the ticket, he's prompted to enter a comment in the public log. If he decides to close it, he's then prompted to enter a final comment. Once the ticket is closed, it cannot be reopen. It is then displayed under the “Closed requests” menu. 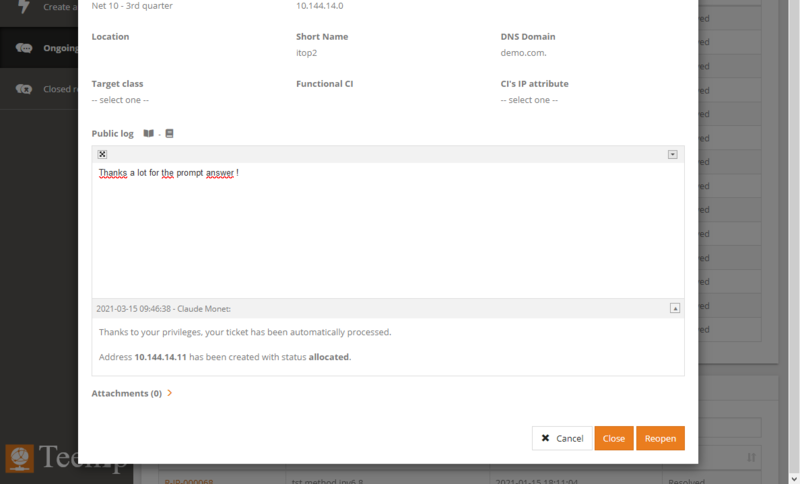 The actual list of fields that the end-user is allowed to edit depends on the configuration of the portal. By default TeemIp lets end-users edit their phone number, location, function, picture as well as their preferred language. 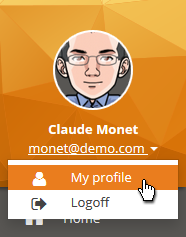 When passwords are managed outside of TeemIp (for example when using LDAP or Active Directory based authentication), the password management form is not displayed.